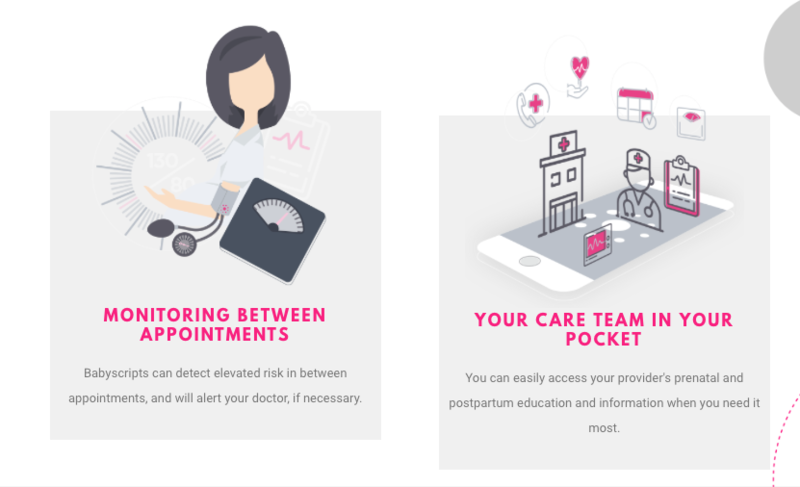 The new app from mobile technology startup Babyscripts allows healthcare providers to monitor their pregnant patients remotely and send them weekly information that's specifically tailored to their "gestational age" and situation. The app is offered as part of MedStar Washington's "Mommy Kit", which also contains a wireless weight scale, and wireless blood pressure cuff - technologies that generate patient data which is then transmitted automatically to their medical provider for review. Babyscripts is the first mobile clinical app that allows OB-GYNs to remotely keep watch on mothers-to-be and elevate the prenatal care experience for their maternity patients. Throughout their gestational period, mothers enrolled in the program receive weekly educational updates directly through the mobile app. For example, at weeks six through eight, expectant moms can use the app to learn about nausea and vomiting, and what particular symptoms or experiences of discomfort should prompt them to visit the doctor's office. Babyscripts Overview from Babyscripts on Vimeo. In addition, using the Bluetooth-enabled blood pressure cuff and weight scale, moms are reminded to regularly check their weight and blood pressure and send the information to their caregivers. If anything is considered abnormal, the data is automatically flagged, and the mother can be called to come into the hospital for a check-up. Blood pressure and weight and important metrics to track during pregnancies - any abnormalities could indicate potential complications such as preeclampsia, a serious condition that causes kidney damage and other problems. "With Babyscripts, we can communicate with patients between office visits and collect vital data that could lead to improved quality of care," Tamika Auguste, Associate Medical Director at MedStar Health Simulation Training & Education Lab, said. "A more informed patient coupled with more data for the physician leads to a better pregnancy experience all around." Patients who have used the Babyscripts app certainly seem to agree. Morgan Loosli, a MedStar patient, recently told Healthline that the app made her feel more connected to her providers, and helped her make better decisions with her diet. "Babyscripts was great for me as a mom with kids because it reduced the frequency of my appointments without compromising the quality of my care," said Loosli. "I felt more connected to the midwives during this pregnancy than I had with my doctor in my first pregnancy. Babyscripts helped me feel more aware of my overall health during this pregnancy because I could open the app at any time and see my weight over time. I wanted to keep the curve steady, and I thought much more about what I was eating and how it might affect my chart between appointments." The system is designed to reduce the number of unnecessary doctor's visits for most women who experience trouble-free pregnancies and increase the number of visits for at-risk patients - freeing up doctors to spend more time with those who need it most. According to MedStar, the combination of home monitoring and notification of "abnormal triggers" has reduced the number of face-to-face visits from about 14 to 9 per person. For Juan Pablo Segura, Co-Founder and President of Babyscripts, the app is about making the patient journey more convenient. "Moms are working; they aren't in the home. For many who already have kids, when they visit the doctor, they have to plan for child care, drive an hour through traffic, sit in a waiting room, pay for parking and take three hours out of their day for a 15-minute visit," he said. "Even then, the majority of pregnant women are healthy and just go through all that and get a thumbs-up, high-five. It doesn't make sense when they have so many other responsibilities." Babyscripts users follow a to-do list - a guideline for patients throughout each gestational period, containing tips and information on nutrition, medication, exercise, and other things that support a healthy pregnancy. The company also provides a post-pregnancy interactive survey to screen new moms for problems such as post-natal depression, and can then alert physicians if any complications are detected. Babyscripts can also track whether women know how to breastfeed, if they have enough food in the house, and enjoy a stable living situation. While most pregnancy apps are geared towards patients, Babyscripts' offering is sold to doctors and health care systems - specifically those that specialize in pregnancy and childbirth. According to Segura, "That makes us unique." The company charges hospitals a monthly fee based on each patient served. "We automate the prenatal care so patients can go in eight or nine times instead of 14 times, while still capturing necessary data," Segura said. "That frees up the doctor. They are getting the same amount of money but have more time for high-risk patients." Along with the MedStar Washington Hospital Center, the Babyscripts app is currently being used in a number of other health systems including Northwestern Medicine in Chicago, Florida Hospital in Orlando, and Carolinas Healthcare in North and South Carolina. Going forward at MedStar, Babyscripts will be working with the Hospital Center's Teen Alliance for Prepared Parenting (TAPP) program to provide a technology to promote healthier living and improve the overall well-being of young parents. 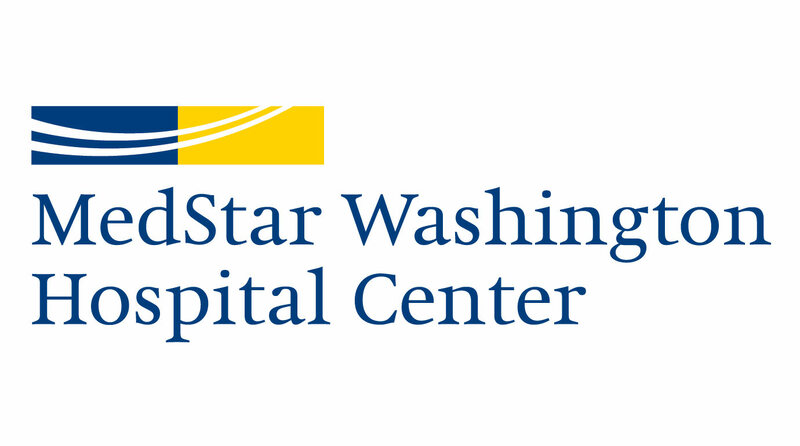 For Loral Patchen, Ph.D., CNM, Director of Midwifery at MedStar Washington Hospital Center, the partnership continues to be hugely beneficial for both patients and physicians. "Babyscripts creates additional flexibility within our practice and provides a common bank of knowledge that allows us to personalize care to a greater degree during office visits. And both midwives and mothers appreciate that opportunity." You can hear Shawn Smith, Vice President and Chief Experience Officer at MedStar Washington Hospital Center speak at NGPX 2018 this November at the Rancho Bernardo Inn, San Diego, CA.